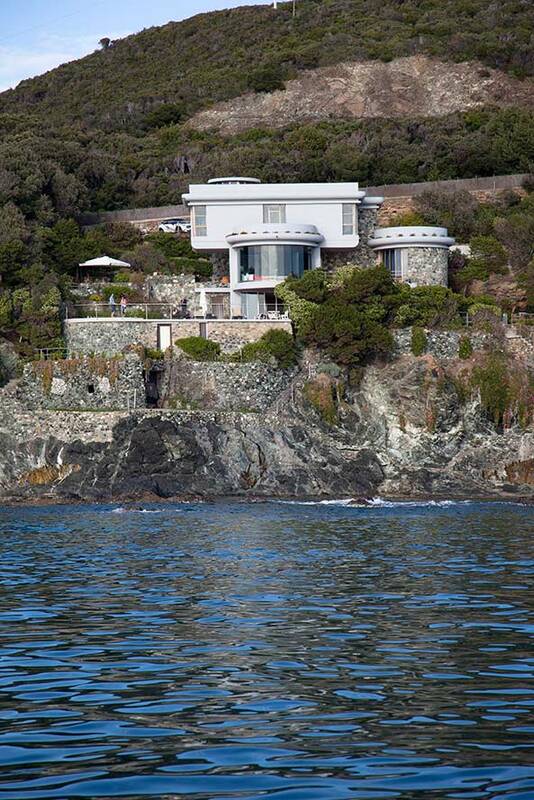 Cliff Front Luxury Villa at Castiglioncello with direct access to the sea. 6 bedrooms and 4 bathrooms for up to 12 people. Large manor home of great charm with every comfort. Breathtaking panorama of the Tuscan archipelago. Bedrooms equipped with air condition and large bright windows overlooking the sea. Surface of about 450 square meters. Circular-shaped swimming pool with sea water. Large garden with lawns and trees. Castiglioncello is one of Tuscany's most interesting areas in terms of culture, scenery and nature. Close to several itineraries ranging from the ancient Etruscan civilitation to Renaissance. VILLA ONDA has direct access to the sea and is situated opposite the main islands of the Tuscan archipelago. Its large windows offer an enchanting view of the nearby promontory of Castiglioncello, the sea below, the green Mediterranean vegetation and over a long stretch of Tuscan coast. VILLA ONDA has a surface of about 450 square meters, a circular-shaped swimming pool with sea water and a large garden with lawns, Mediterranean vegetation and trees. The ground floor consist of 2 double bedrooms, bathroom with shower, large kitchen, large dining area plus pantry and laundry room. On the first floor a large living room with large windows overlooking the sea below and divided into several areas for conversation, reading and television. From the wide adjoining terrace you see, like on the deck of a ship, the enchanting scenery of the sea with the Tuscan islands on the horizon. 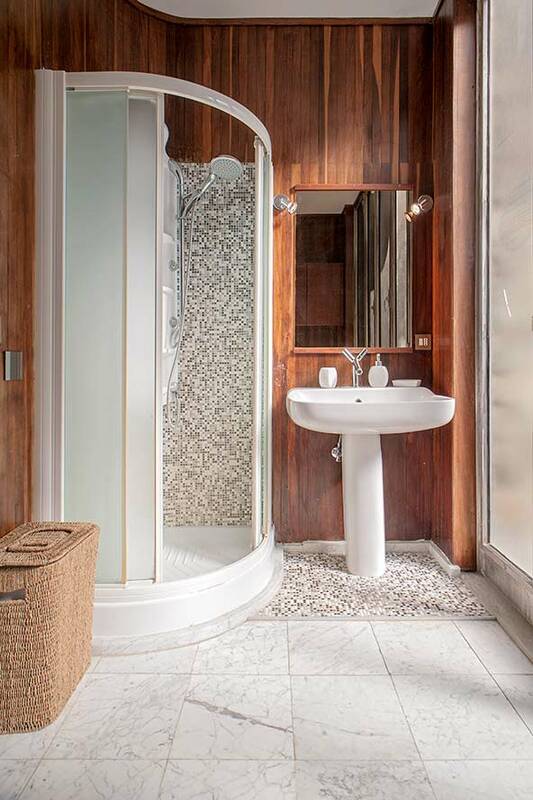 Located on the second floor there are 2 bathrooms, one with shower the other with a Jacuzzi, and 4 bedrooms, two of which have a solarium terrace. All bedrooms are equipped with air condition and large bright windows overlooking the sea. The modern architecture of the villa and its beautiful swimming pool create a magical atmosphere, ideal for an intimate holiday, relaxing and family, away from the chaotic life of the city where only the sound of the waves of the sea surges across the cliff. All costs for electricity will be paid directly on site to the owner depending on your consumption. Air-condition and heating run on electricity. Castiglioncello is one of the places where nature is untouched, where in addition to the clean sea, rich of beaches, coves, history, art and culture. It is known internationally, with a modern marina from which you can reach the islands of the Tuscan archipelago. Many well-known personalities still come to relax in Castiglioncello, among its cliffs, its beaches and pine forests. The departure was fast, so I tell you in this way a big thank you for staying at the villa.The kids were happy and told me, they had never stayed in such a beautiful house. Greetings from cold and raining Zurich. Tom and Joel When searching for a place to rent in Tuscany, we found a beautiful villa on the Etruscan coast. This was a completely different location than what we had in mind, originally thinking of the iconic hill towns and lush valleys for which Tuscany is well known. Realizing that the coastal property was approximately an hour or two from many of the hill towns, the location offered the sea and access to the towns we were planning to visit. 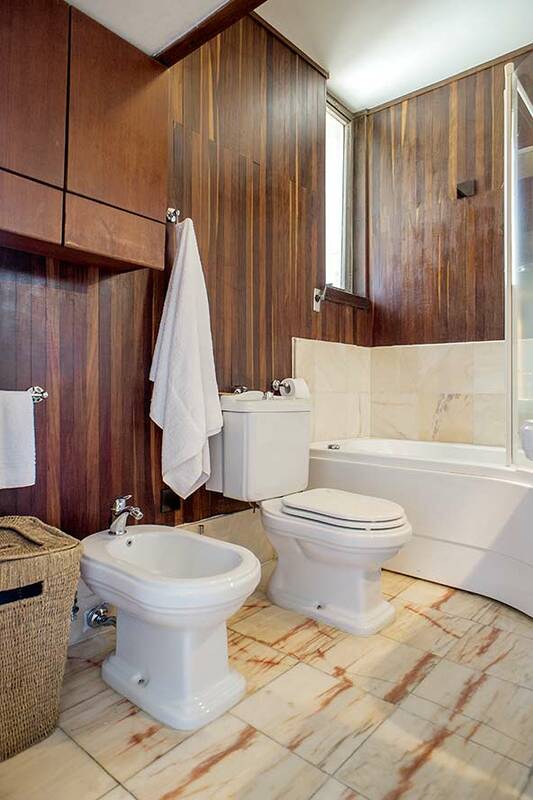 As is the case with renting via the internet, almost all properties are photographed to look their best and have enticing narratives which describe all of what they have to offer. When arriving at this property, we held our collective breath hoping that it looked as it did in the photos and was as spectacular as we had imagined. It was all that and more! The setting is truly extraordinary with expansive views of the sea and outer Tuscan islands along with breathtaking sunsets. The house itself was clean and well maintained. Access to main roadways into the heart of Tuscany is close by and allowed for easy travel to the towns we had planned to visit….Cinque Terre, Florence, Lucca, Volterra, Bolgheri, and Elba. The proprietors of the property were extremely friendly and helpful with reservations, directions and other recommendations in the general area. We strongly suggest hiring the chef who often prepares meals at the house. In addition to his food being delicious, having evening meals waiting at the house made the daily trips to other areas carefree and more enjoyable. We strongly recommend this property for your stay in Italy! Mary The setting is truly extraordinary with expansive views of the sea and outer Tuscan islands along with breathtaking sunsets. The house itself was clean and well maintained. Access to main roadways into the heart of Tuscany is close by and allowed for easy travel to the towns we had planned to visit….Cinque Terre, Florence, Lucca, Volterra, Bolgheri, and Elba.